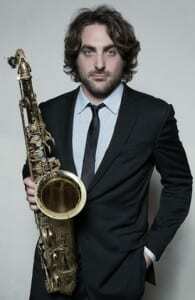 Of Brooklyn-based saxophonist Noah Preminger, The New York Timesdeclares: “Mr. 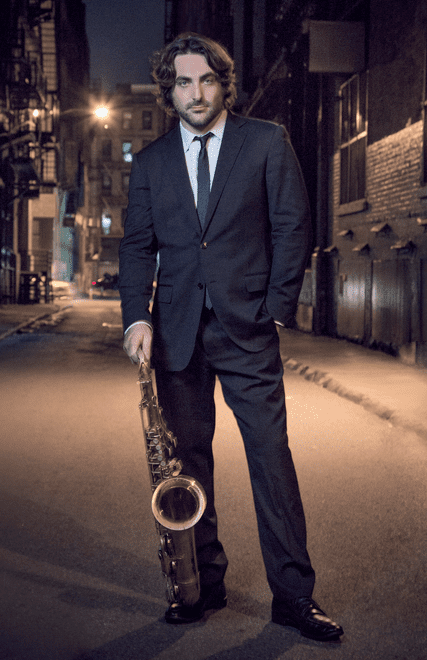 Preminger designs a different kind of sound for each note, an individual destiny and story.”Preminger, just 32 and the winner of Downbeat Magazine’s Rising Star Best Tenor Saxophonist, has recorded over twelve critically acclaimed albums. Multiple new recordings were released in 2017-18, including Meditations On Freedom, released on Inauguration Day, 2017, as a musical protest at ominous political developments in America. In addition, a duo album recorded in Jordan Hall with pianist, Frank Carlberg, a Quartet recording on Criss Cross Records, and a Preminger Plays Preminger album – the music of Otto Preminger’s films – on French, vinyl-only label, Newvelle Records. This year Preminger and co-leader, Rob Garcia, created the Dead Composers Club and released The Chopin Project, the first of the quartet’s planned annual examinations of deceased composer’s oeuvre. In 2018, Preminger has also contributed music to a major motion picture and was awarded a Fellowship to compose music at Banff Centre’s Leighton Artists Studio. Born in 1986, Preminger grew up in Canton, Connecticut. 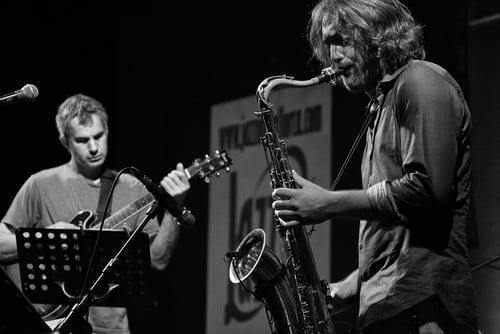 Premingerreleased his debut album, Dry Bridge Road, just after his 21st birthday and was named Debut of the Year in the Village Voice Critics Poll.Preminger’s second and third albums as a leadercame in 2011 and 2013while signed to the Palmetto Records label. The Boston Globe hails Preminger as “A master with standards and ballads, as well as an adventurous composer.” The saxophonist has performed on key stages from the United States toEurope and Australia, and he hasplayed and/or recorded with the likes of Jason Moran, Dave Holland, John Patitucci, Fred Hersch, Dave Douglas, Billy Hart, Rob Garcia, Joe Lovano, Victor Lewis, John and Bucky Pizzarelli, Cecil McBee, George Cables, and Roscoe Mitchell.